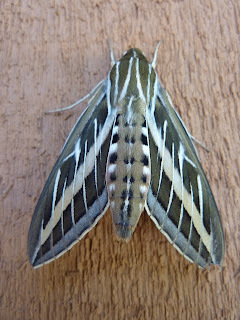 This striking moth is a member of the Sphingidae, the Spinx or Hawk Moths. Spinx moths are fun to watch as they visit flowers to obtain nectar with their long probocises; they resemble tiny hummingbirds. In my limited experience, they are a quite charismatic group of moths. This one was rather obliging and let me move its forewing aside to reveal the colors and pattern of its hindwing. 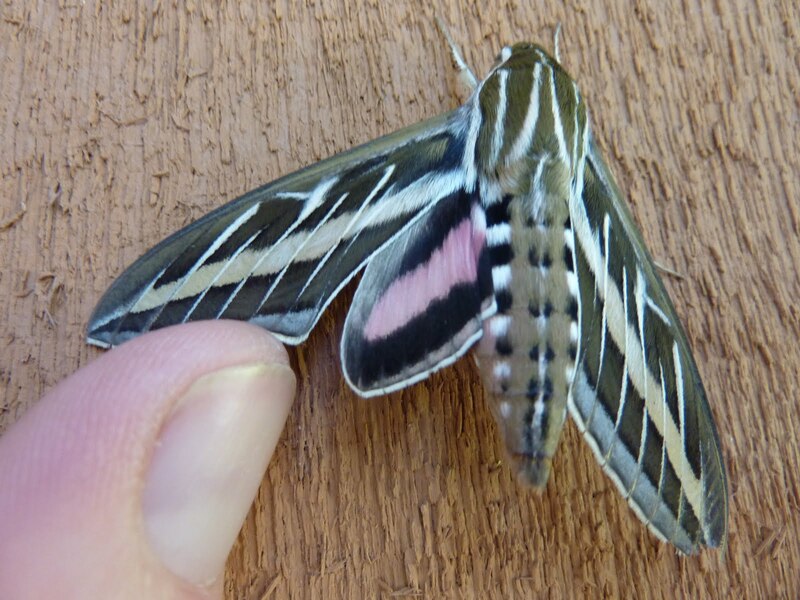 This website has a lot information about the Sphingidae. 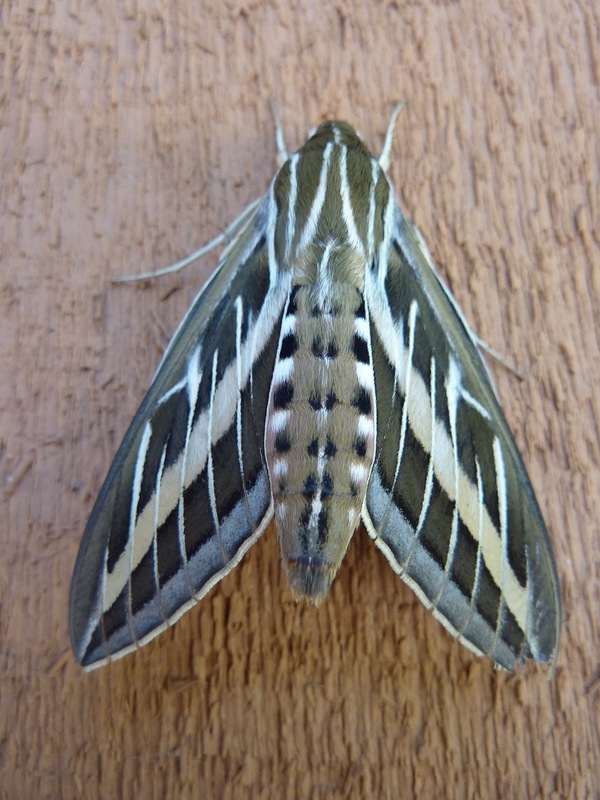 There is also a book, "The Hawk Moths of North America" by James P Tuttle that seems to be the definitive source for North American Sphingidae information. I haven't seen it, but hopefully I'll get to look at it some time in the future.